Syncing your NowRenting account with your QuickBooks Desktop company file involves downloading an IIF file from NowRenting and importing it into QuickBooks Desktop. Navigate to the Leases page. If you have payments that have not yet been synced, the See Details link will be available. Select the payment(s) that you want to transfer and click Export Selected. Your browser will download a file called Rent-Payments.iif. 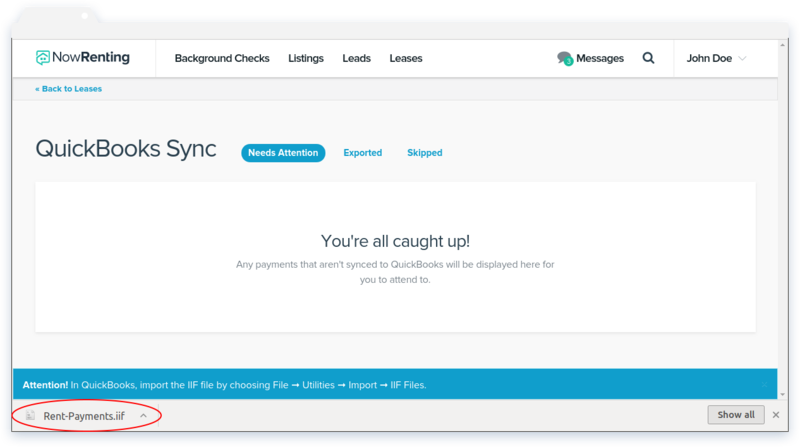 Make sure you can locate this file, because you’ll need to import it into QuickBooks Desktop. To import the saved IIF file, please refer to Intuit’s official instructions here. Navigate to File > Utilities > Import > IIF Files. 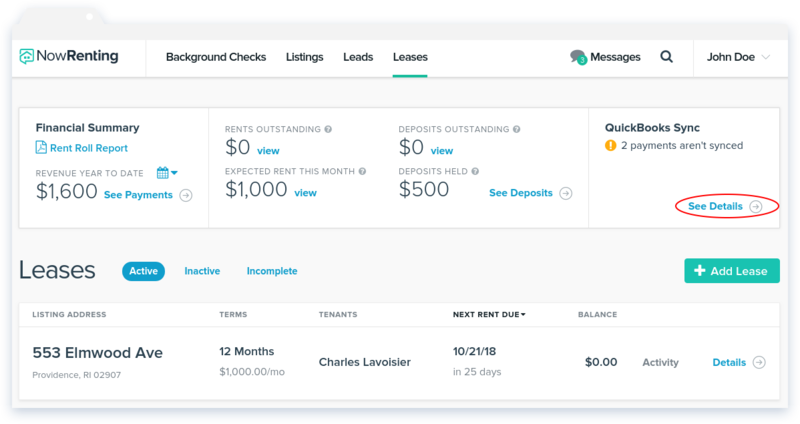 Locate and select Rent-Payments.iif, then click Open.